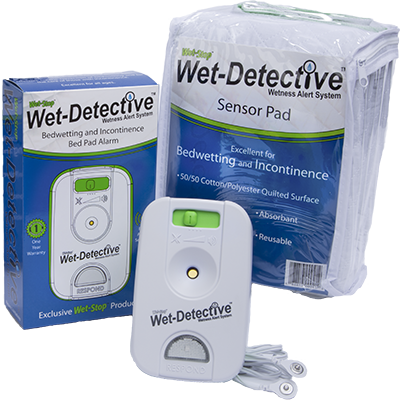 The Wet-Detective incontinence alarm and patented bed pad system is a great solution for assisted living communities, nursing homes, medical supply stores, pharmacies, DME centers and more for those struggling with bedwetting and incontinence issues. By joining the PottyMD Wholesale Network, your organization will enjoy the benefits of greatly reduced pricing and personal customer service that comes with ordering in bulk. Note: You will redirected to pottymd.com. The Wet-Detective is a product of PottyMD. Please contact us for more information at 865-584-6700.